Maria Moog-Grünewald | The Reception of Myth and Mythology, ed. by Maria Moog-Grünewald, Leiden/Boston (Brill) 2010 (= Brill’s New Pauly – Supplements, 4). Start » Publikationen » Herausgeberschaften » Lexika » The Reception of Myth and Mythology, ed. by Maria Moog-Grünewald, Leiden/Boston (Brill) 2010 (= Brill's New Pauly – Supplements, 4). The Reception of Myth and Mythology, ed. by Maria Moog-Grünewald, Leiden/Boston (Brill) 2010 (= Brill’s New Pauly – Supplements, 4). 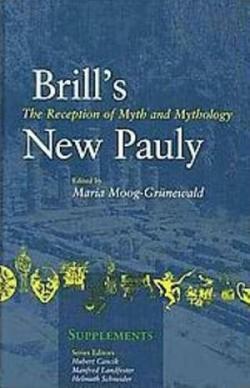 Following the structure of the Classical Tradition volumes of Brill’s New Pauly this Supplement volume – The Reception of Myth and Mythology highlights the routes and works through which the myths of Greece and Rome have passed into the cultural memory of Europe over the centuries, into its literature, music and art and its reflections on aesthetics and philosophy. New media too, such as film, comics and advertising, have taken up the ancient mythological figures. 187 illustrations provide visual examples of this history.